Different types of furnaces are used in foundries and out of all; one which has a huge demand is Crucible Furnace. It is one of the oldest, simplest yet the most effective of all and is available in different configurations to suit the need of different processes and applications. Meta Therm Furnace Pvt. Ltd is one of the famous Crucible Melting Furnace Manufacturers in Mumbai; make us a contact straight away to get our instant customer support. 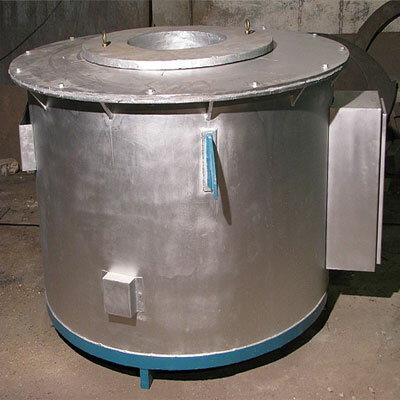 This type of Crucible Type Melting Furnace is designed to be used where low melting point alloy is needed. It has the ability to withstand very high temperature without hampering the body and process inside. Helpful in melting metals by maintaining the right amount of heat and temperature within the chamber. Available in endless configurations and is very useful in foundries, where metal melting processes take place. We are one of the foremost Electrical Crucible Melting Furnaces Exporters and Suppliers In India. You can speak directly with our experts to share all the particular requirements you have, we’d glad to help you make the right decision.